5 0 F L O R A T I N E S P O R T S T U R F In football, it really is the fifty-yard line, but sometimes the fifty is in front of a soccer goal. Sometimes it's in left field. The fifty is the area of your turf that gets the most traffic. 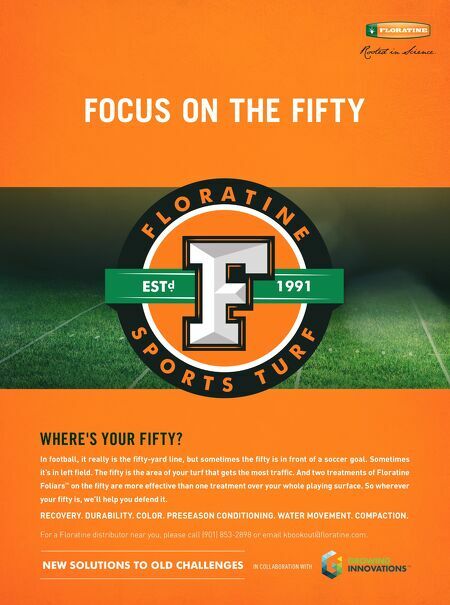 And two treatments of Floratine Foliars ™ on the fifty are more effective than one treatment over your whole playing surface. So wherever your fifty is, we'll help you defend it. For a Floratine distributor near you, please call (901) 853-2898 or email kbookout@floratine.com. RECOVERY. DURABILITY. COLOR. PRESEASON CONDITIONING. WATER MOVEMENT. 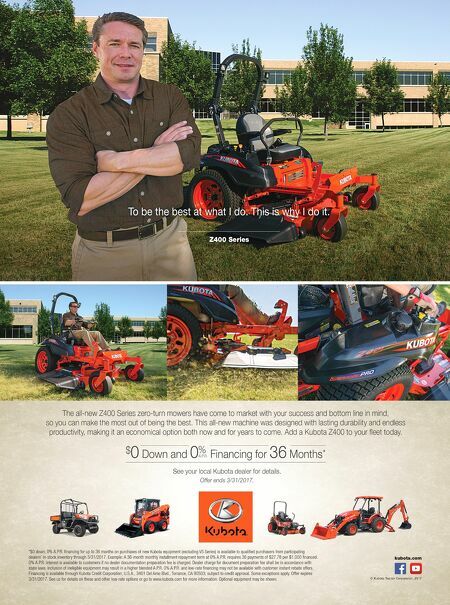 COMPACTION. NEW SOLUTIONS TO OLD CHALLENGES IN COLL ABORATION WITH FOCUS ON THE FIFTY WHERE'S YOUR FIFTY?